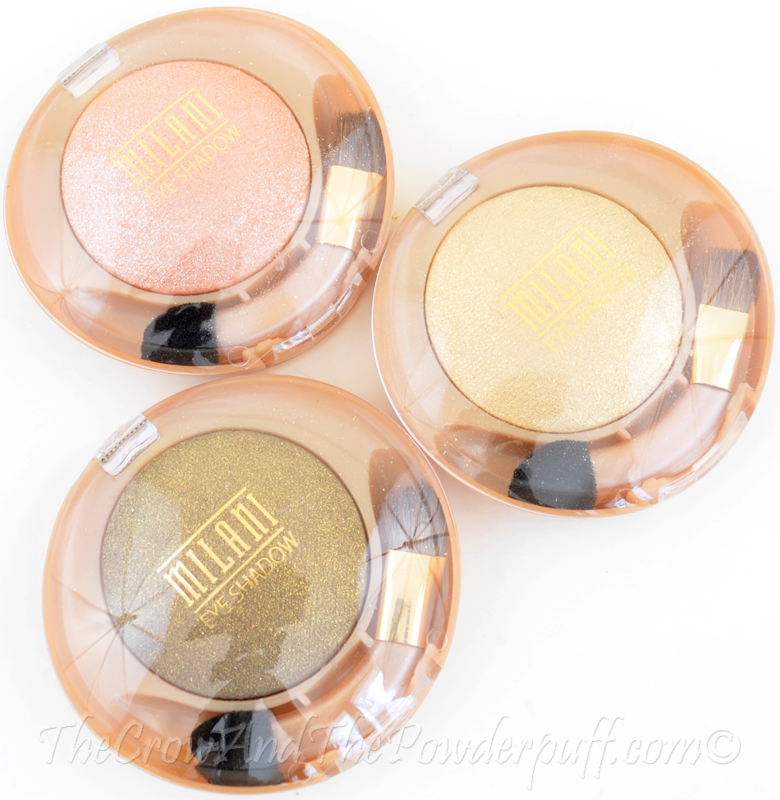 This review is on the Milani Cosmetics Runway Eyes Eyeshadow in the shades #14 Antigua, #15 Golden Touch, and #16 Peaches & Cream I received these a while back so they were long over due for a review! As a side note the first set of pictures were taken with my old camera because I had already swatched them before I received my new camera. Buildable and seriously beautiful, these eyeshadows are baked on Italian terracotta tiles to deliver – ultimately - a lustrous effect. 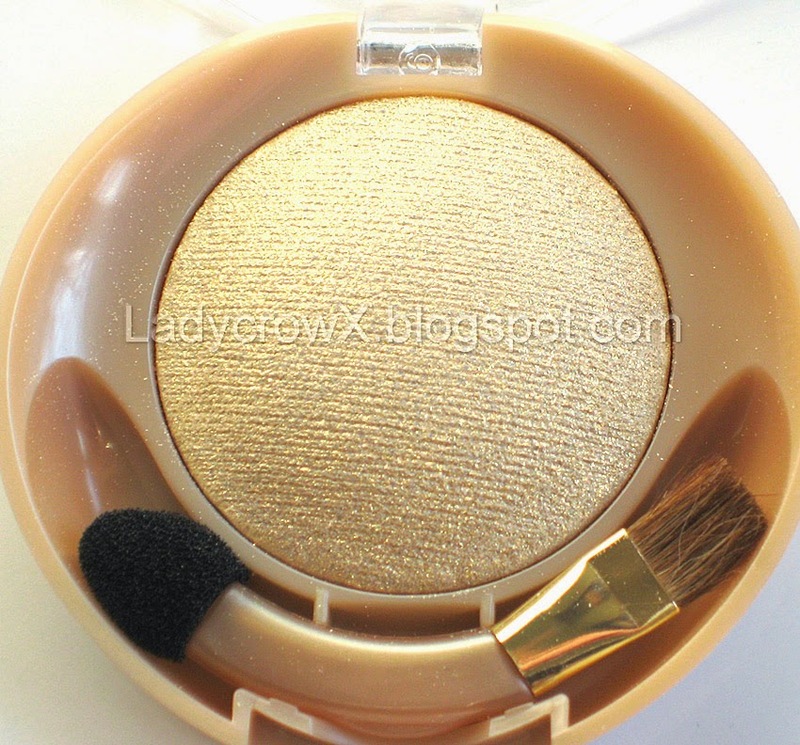 First applied, there’s a flash of pearl and shimmer, which quickly shifts to a more luminous, lasting finish. They can be used as shadow or liner - and wet or dry, depending on the amount of drama you’re after. Talc, Mica, Aluminum Starch Octenylsuccinate, Calcium Aluminum Borosilicate, Dimethicone, Magnesium Aluminum Silicate, Caprylic/Capric Triglyceride, C12-15 Alkyl Benzoate, Zeolite, Dipentaerythrityl Tetrahydroxystearate/ Tetraisostearate, Isopropyl Isostearate, Octyldodecyl Stearoyl Stearate, Phenoxyethanol , Sorbitan Palmitate, Silica, Octyldodecanol, Methylparaben, Sodium Dehydroacetate, Sorbic Acid, Propylparaben, Butylparaben, Tetrasodium EDTA, Tin Oxide, Isopropylparaben, Isobutylparaben , Disodium Cocoyl Glutamate, BHT, Sodium Cocoyl Glutamate, Polyacrylamide, C13-14 Isoparaffin, Laureth-7, Acrylates/Octylacrylamide Copolymer, Isostearyl Alcohol, Titanium Dioxide (CI 77891). +/- May Contain: Iron Oxides (CI 77491, CI 77492, CI 77499), Carmine (CI 75470), Ultramarines (CI 77007), Ferric Ferrocyanide CI 77510). The Packaging: Compact style with curved dual ended brush/sponge applicator. 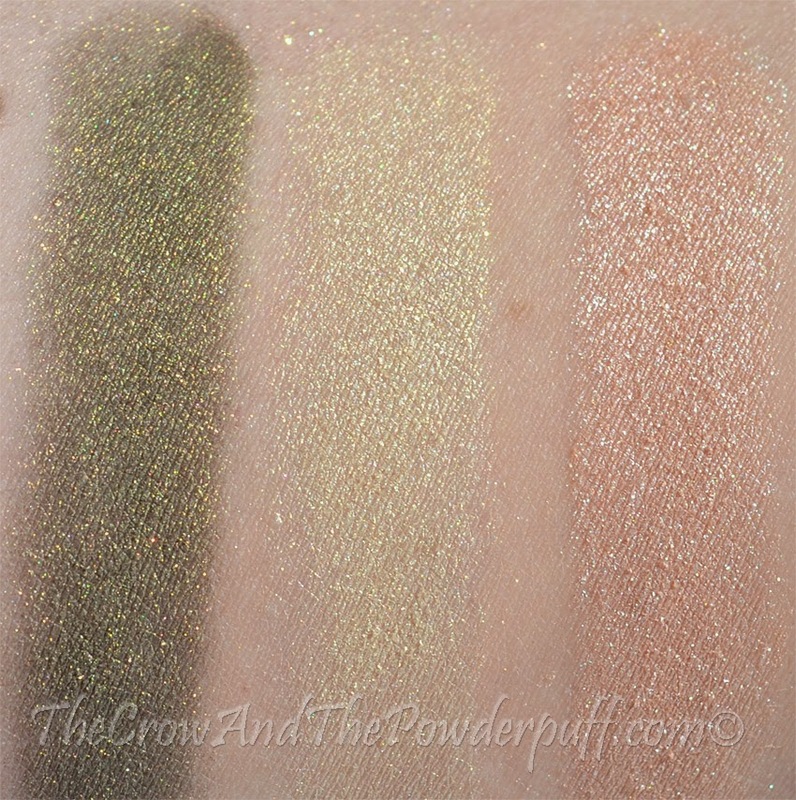 My Final Thoughts: These are really great shadows for the price point, all of them are very beautiful shades. 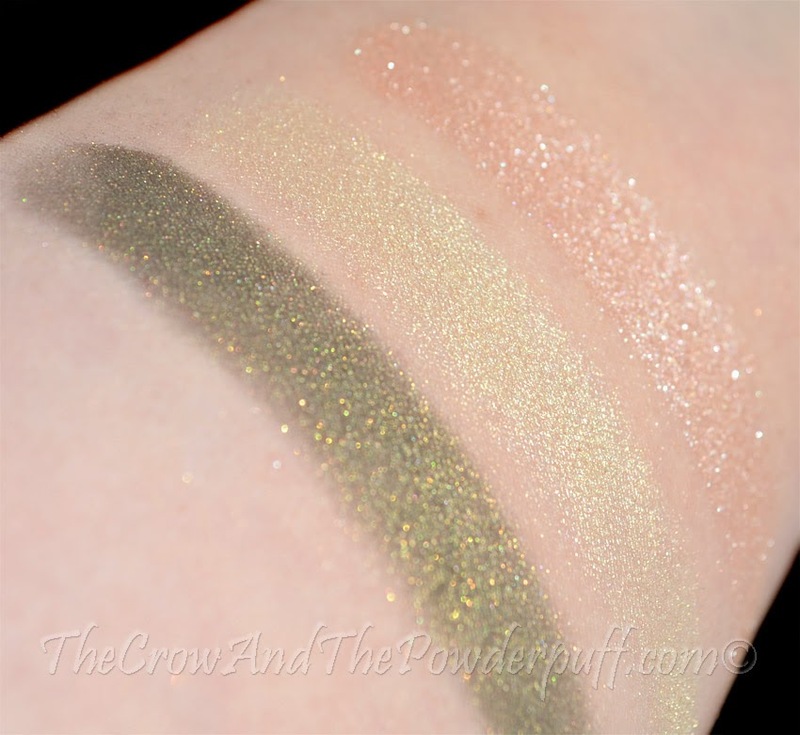 I opted to apply mine over the Milani eyeshadow primer and Fyrinnae Pixie Epoxy which is the normal way I apply my shimmer and metallic shadows. You can apply it over just a primer though for a softer look if you prefer that instead. I do want to note that because it only has an overspray of glitter once the top layer is used up the glitter will no longer be present. I never use the applicators in my shadows as I find most are very scratchy and I'm not really fond of the sponge tip ones either. I'm not too found of the packaging on these shadows but for the price point and fact this is a drugstore brand it doesn't deduct from the rating for me. #14 Antigua It's described as a shimmering antique green with glitter overspray, it's a fantastic color and applies smooth and pigmented. 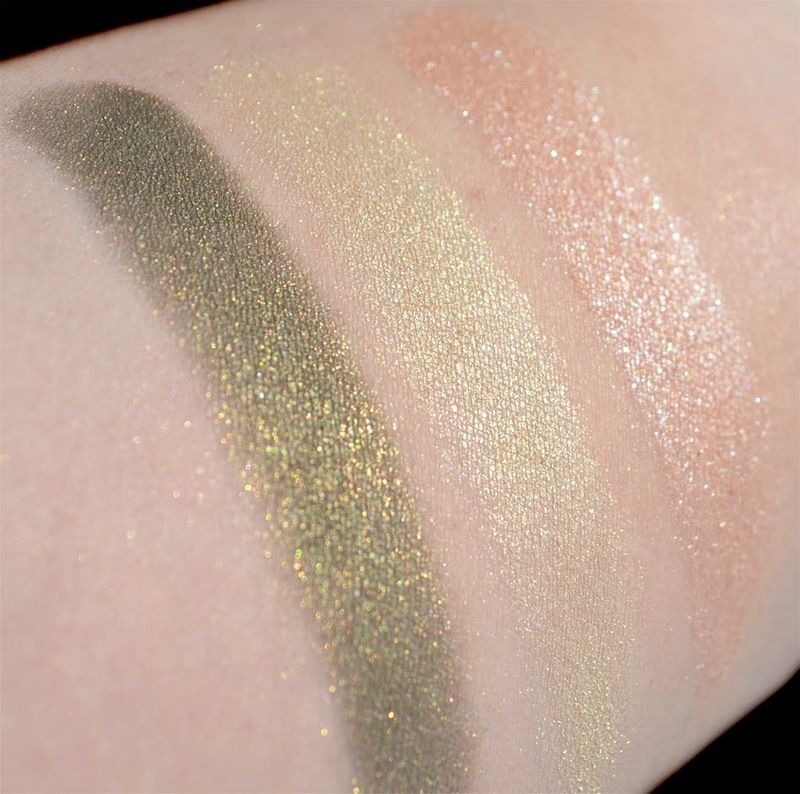 It's a gorgeous shade and you can definitely see the antique green with shifts of gold, I can absolutely see using this one wet as an eyeliner. #15 Golden Touch This shade is described as a shimmering light gold with a glitter overspray, it's definitely a gorgeous pale golden shade with a smooth and buttery texture. #16 Peaches & Cream It's described as a shimmering peachy pink with glitter overspray, it's a beautiful soft peach color and would work great on the lid. 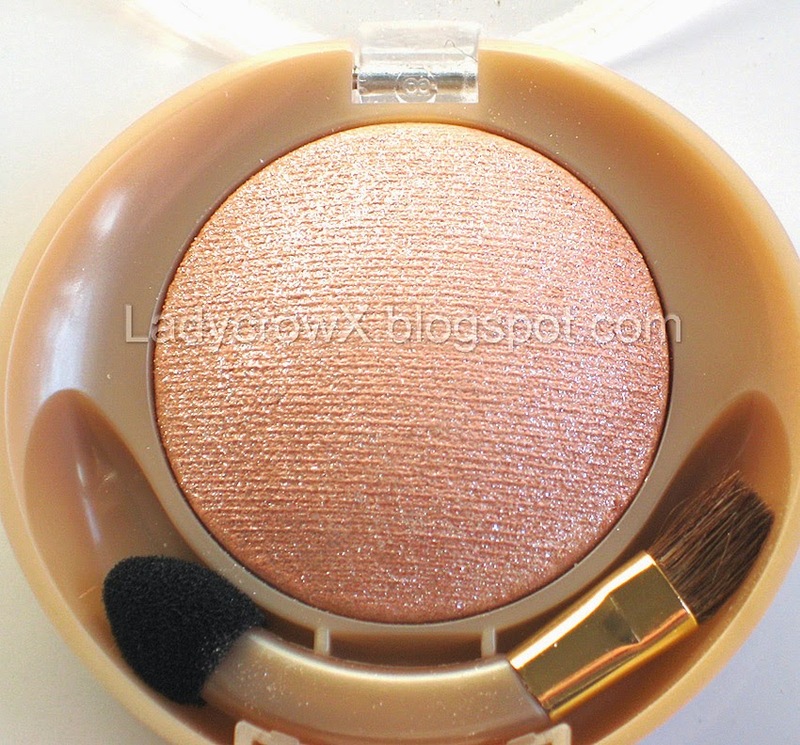 It applied smooth and blends easily. Would I purchase again? Definitely yes! 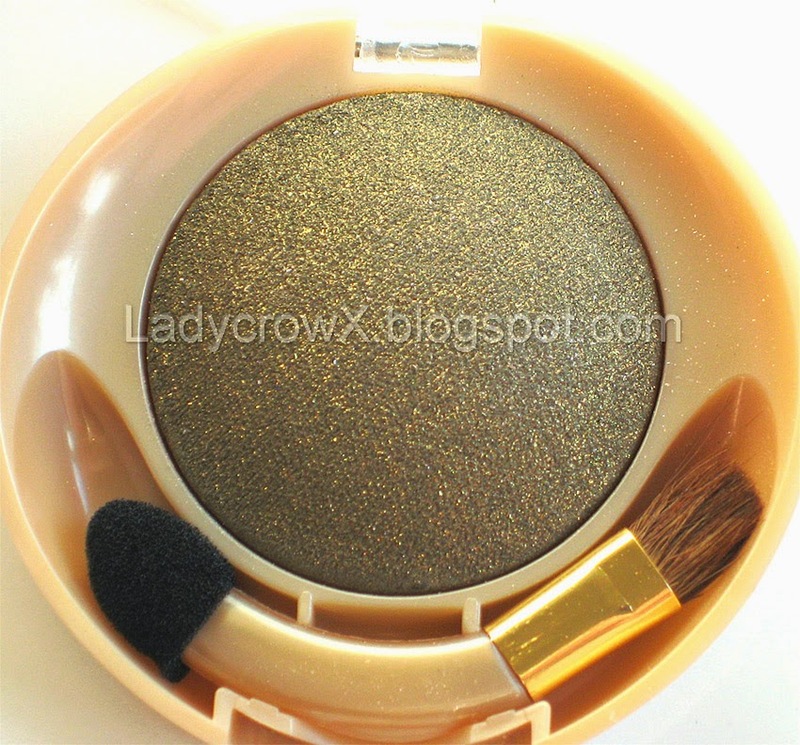 These are really smooth and pigmented shadows especially for the price point. You can use them wet or dry as well which is really a plus if you want a softer look or a more intense payoff. Do you own any of these? What's your favorite shade?